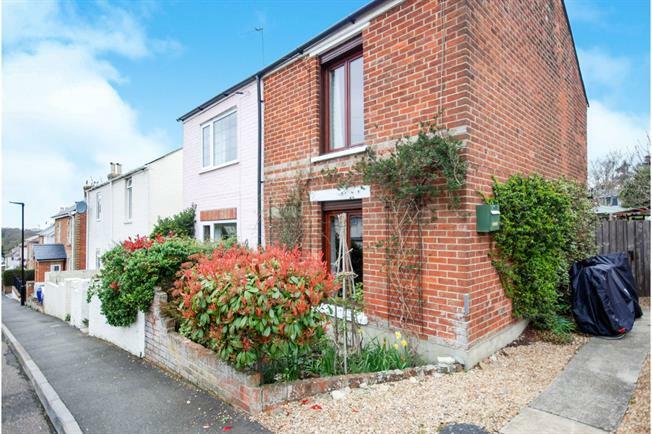 2 Bedroom Semi Detached House For Sale in Ryde for Asking Price £182,500. Offered to the market 'chain free' is this character filled, 2 bedroom cottage in Haylands on the edge of Ryde. This charming property is complimented by a 120ft peaceful, mature garden with several sitting areas. To the side is a small drive suitable for a small car only but there is the option to create more space to accommodate a wider vehicle if required. Internally, the character abounds in the kitchen/diner & the lounge with its log burner fireplace & its bespoke, French hardwood double glazed window. The bathroom is also on the ground floor to the rear. Upstairs offers 2 good size double bedrooms, both with period fireplaces & laminate flooring. The property is double glazed (except 2nd bedroom period sash window) & benefits from gas central heating. Haylands is within easy reach of the town, schools, sea front, amenities & transport links.